Free agent running back Darren Sproles will make a decision as to whether he is going to retire or continue playing in 2019 sometime in May, as David Weinberg of the Press of Atlantic City reports. If Sproles does return, it sounds as if he could suit up once again for the Eagles, as the diminutive back indicated he has been in discussions with the club about coming back for one more season. The Eagles just traded for former Bears RB Jordan Howard in an effort to bolster their RB depth chart, but presumably the team could still find a spot for Sproles as a third-down back and return man. Of course, the Eagles are also rostering Corey Clement, Wendell Smallwood, and Josh Adams, and the club could also elect to use a high draft choice on a running back, so perhaps Sproles is waiting to see what Philadelphia’s roster looks like after the draft before making his final decision. Sproles originally hinted that 2017 would be his final NFL campaign, but backtracked on that sentiment even before multiple injuries ended his season early that year. 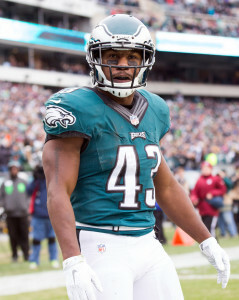 Sproles not only suffered a torn ACL, but a broken arm during the first month of the 2017 season, which concluded with Sproles having played in just three games. After inking a one-year deal that contained $1MM in guarantees for 2018, Sproles muddled through another injury-riddled campaign. A hamstring injury limited him to just six appearances last year, but he played well when he was on the field. Additionally, the Eagles won four of five games and snuck into the playoffs after Sproles returned, which could motivate the 35-year-old to return for a 15th NFL campaign. In the 2018 regular season, Sproles rushed for 120 yards and one touchdown on 29 carries while adding 15 receptions for 160 yards and two scores in the passing game. Among backs with fewer than 25 catches, Sproles was the league’s 10th-most effective receiver in DYAR, Football Outsiders’ receiving metric. He was not as successful in the playoffs, though, as he put up just 25 yards on 16 carries and 35 yards on five catches in Philadelphia’s two postseason contests. Eagles RB Darren Sproles Could Play In 2019? Although he had previously declared his intention to retire following the 2018 campaign, Eagles running back Darren Sproles has indicated to teammates and coaches that he’ll “seriously” consider extending his career by at least one more season, according to Chris Mortensen of ESPN.com (Twitter link). After inking a one-year deal that contained $1MM in guarantees for 2018, Sproles muddled through another injury-riddled campaign. A hamstring injury limited him to just six appearances this season, but he’s played well when on the field. Additionally, the Eagles won four-of-five games and snuck into the playoffs after Sproles returned, which could motivate the 35-year-old to return for a 15th NFL season. On the season, Sproles has rushed for 120 yards and one touchdown on 29 carries while adding 15 receptions for 160 yards and two scores in the passing game. Among backs with fewer than 25 catches, Sproles was the league’s 10th-most effective receiver in DYAR, Football Outsiders’ receiving metric. The Eagles will have plenty of roster decisions to make heading into the 2019 season. Two of the names at the top of the list include veteran running Darren Sproles and oft-injured linebacker Jordan Hicks, Zack Rosenblatt of NJ.com writes. After originally declaring this as his final season, Sproles has looked like a vintage version of himself, leading many to wonder if he would come back for his 15th NFL season. One person who would love to have the pass-catching back return is Eagles head coach Doug Pederson. He didn’t offer the same ringing endorsement for Hicks. Despite being a noted playmaker who ranks third on the team in tackles in 2018, the Texas Longhorns product has missed 21 games in his first four seasons, including four this season. Sticking with the Eagles, thanks once again to Nick Foles, the team is currently in the fight for the last playoff spot in the NFC. Should they make it, there will undoubtedly be a contingent of fans hoping Philly will bring back the veteran in 2019. However, that is unlikely to happen, writes Sports Illustrated’s Andrew Brandt. With Foles on the books for $20MM next year, it is much more likely the Eagles do not exercise his option and make him a free agent. If he goes on another magical run in January, however, every option has to be on the table. Dolphins vice president of football operations Mike Tannenbaum is not expected back with the team in 2019, Armando Salguero of the Miami Herald writes. The move would end his four-year run with the team. Head coach Adam Gase is expected to be retained. Salguero also has heard a few of the names as possible replacements include Dan Marino and Dawn Aponte. Following the release of D.J. Swearinger, one of the Redskins’ top needs this season has quickly become safety, Ben Standig of NBC Sports writes. Coupled with the potential departure of Ha Ha Clinton-Dix, the Redskins would be down both of their safeties heading into 2019. Should they address the issue in the draft, the team could target Alabama’s Deionte Thompson or Virginia’s Juan Thornhill, two of the top-ranked prospects at free and strong safety, respectively. Sunday, 8:55am: Ian Rapoport of NFL.com tweets that Sproles is expected to miss multiple weeks (one estimate suggested an absence of three to four weeks). The Eagles will be cautious with him so that when he returns to the field, he will be back for good. The way Sproles’ injury was handled by the team’s medical staff may be cause for concern, as we detailed yesterday. Thursday, 11:39am: Earlier this week, Eagles head coach Doug Pederson said he expected Darren Sproles to play on Sunday versus the Cowboys. Unfortunately, those plans were derailed after the running back aggravated his hamstring injury (Twitter link via ESPN.com’s Adam Schefter). 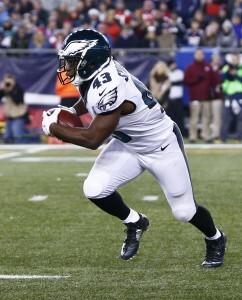 Sproles has not been on the field since hurting his hamstring in practice prior to the Eagles’ Week 2 game. Sproles showed significant improvement this week and the team believed that Sproles would be able to resume punt-return duties against the Cowboys. Instead of facing Dallas and joining Wendell Smallwood and Corey Clement in the backfield rotation, Sproles’ outlook for the rest of the season is now in question. Sproles’ 2017 was shortened by multiple injuries in September, meaning that he has played in just three games over the last two years. 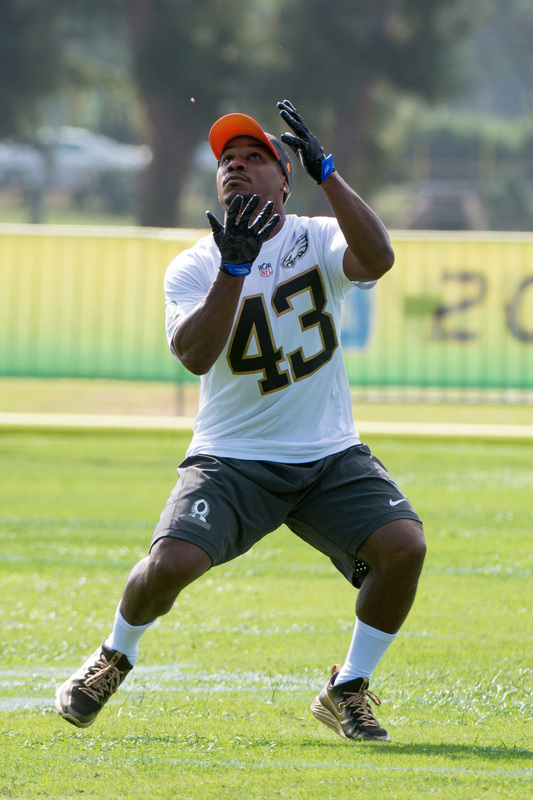 He already cashed in on a $1MM guarantee for this year, but Sproles is eager to resume the form that earned him three straight Pro Bowl nods between 2014-2016. On the plus side, Eagles tackle Lane Johnson resumed practice this week after recovering from a Grade 2 MCL sprain. Pederson is hopeful that Johnson will play, but that would mark a faster-than-usual turnaround from the injury. Eagles running back Darren Sproles will retire from the NFL after the 2018 season, as the veteran explained in a post today. “The plan was for 2017 to be my last season,” writes Sproles. “I was 34, had a great career, accomplished a lot—it was time. No one ever expected my career to last this long, over a decade but I was proud to prove them all wrong. Then my season ended a little earlier than expected, to an injury. As Sproles alludes to, he’d originally hinted that 2017 would be his final NFL campaign, but backtracked on that sentiment even before multiple injuries ended his season in September. Sproles not only suffered a torn ACL, but a broken arm during the first month of the 2017 season, which concluded with Sproles having played in just three games. After deciding to return for 2018, Sproles inked a one-year deal with the Eagles that contains $1MM in guarantees. Now 35 years old, Sproles will be part of a Philadelphia backfield that also includes Jay Ajayi, Corey Clement, Matt Jones, Wendell Smallwood, and Donnel Pumphrey. Sproles should be guaranteed a roster spot, and will likely handle passing game work in the Eagles’ offense. Maintaining value based on his receiving skills is nothing new for Sproles, who has never topped 100 carries in a season during his lengthy pro tenure. Sproles spent the early portion of his career as LaDainian Tomlinson‘s backup with the Chargers, but emerged to even greater prominence as a backfield weapon for Drew Brees and the Saints. He was shipped to the Eagles in 2015 in exchange for a fifth-round pick. 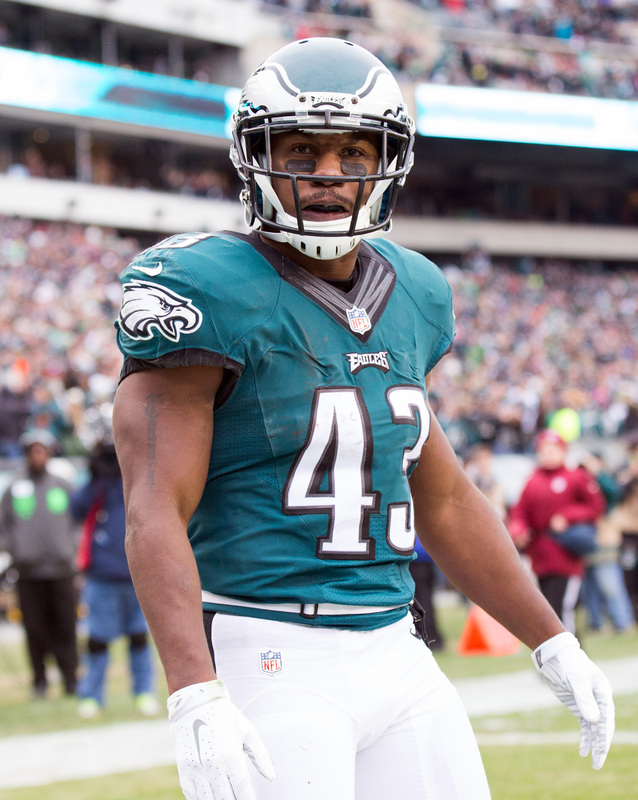 Darren Sproles has agreed to return to the Eagles and play a 14th NFL season. The elusive running back agreed to terms with the defending Super Bowl champions, Howie Roseman announced Saturday. It’s a one-year deal with a total guarantee of $1MM, Tom Pelissero of NFL.com tweets. The pact can be worth up to $1.415M with $1.433M in likely to be earned incentives. The Eagles had been in communication with Sproles for a while now, and he’ll be part of Philadelphia’s backfield picture again this season — which will be his fifth in eastern Pennsylvania. Rumored to be on the lookout for running backs in this year’s draft, the Eagles used five picks on other positions last week. Sproles being back in the fold figures to provide a boost to the backfield, which lost LeGarrette Blount but still houses Jay Ajayi and Corey Clement. Philly also has Donnel Pumphrey and Wendell Smallwood on the team, but with Sproles back, there likely is only room on the 53-man roster for one of these players. Sproles will turn 35 before this season begins and is coming off multiple severe injuries — a broken arm and a torn ACL. However, Roseman is optimistic he will be ready to play by Week 1 (via Philly.com’s Jeff McLane, on Twitter).